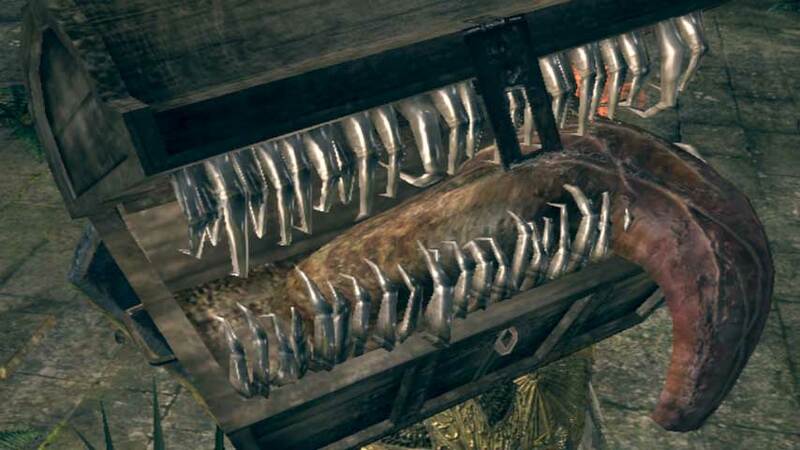 What is your favorite all time "Mimic" character, from any game? I personally like Dark Souls Mimic, so much I will have it inked to my body sometime in the near future. The Trap Box boss from Dragon Quest 8. It's guarding the venus tear, a treasure Yangus had previously failed to retrieve before the events of the game. I like the ones from Dark Cloud 2 because you can just stand behind them before opening them, then wail away on them until they die.